Porsche 911 Interior, Sat Nav, Dashboard | What Car? Most people will be able to find a driving position that suits, thanks to the wide range of adjustment on offer, including four-way electric seat adjustment. In fact, this set-up works so well that the optional 14-way electric seats seem like a needless expense. 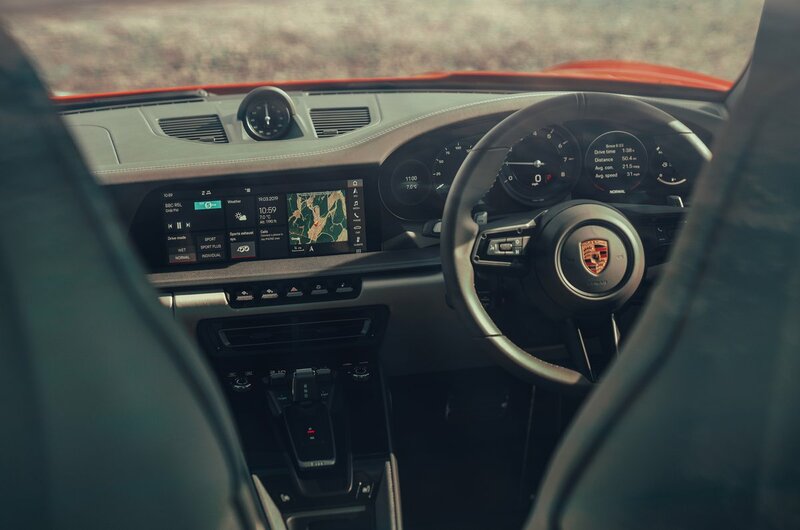 You sit close to the floor, which gives the 911 a suitably hunkered down feel from behind the steering wheel. And, while the seat itself is quite narrow, it offers plenty of support, so you remain comfortable even on long trips. The fact the pedals are well placed also helps, as does the wide rest for your left foot. 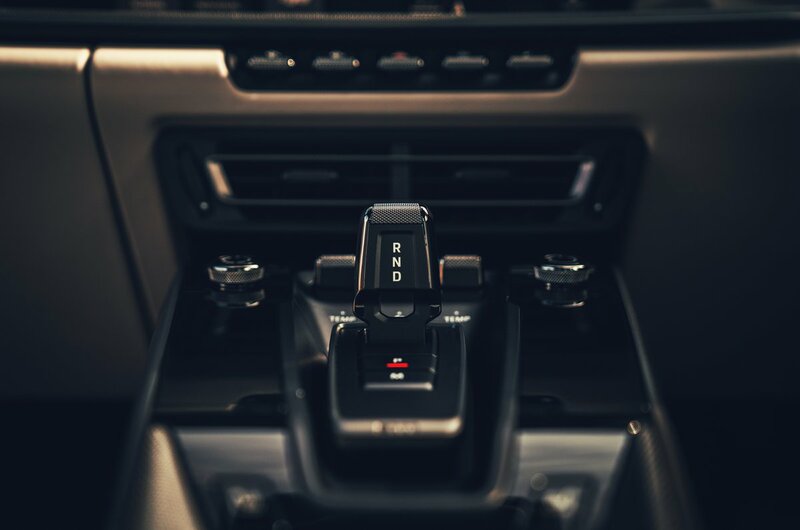 However, while the speedo and rev counter are directly in your line of sight and easy to read at a glance, some other instruments, including the fuel gauge, are obscured by the steering wheel. Driving a sports car usually involves making serious sacrifices in usability, but the 911 is surprisingly easy to live with. Forward visibility is excellent, thanks to slim windscreen pillars. Those distinctive bulges around the tops of the headlights give you a clear idea of where the front wheels are, too, making the car easier to manoeuvre than rivals such as the Jaguar F-Type and Mercedes-AMG GT. Even rear visibility is excellent, with a deep rear window allowing you to place the back of the car accurately. Plus, all-round parking sensors come as standard, and a reversing camera is available as an option. 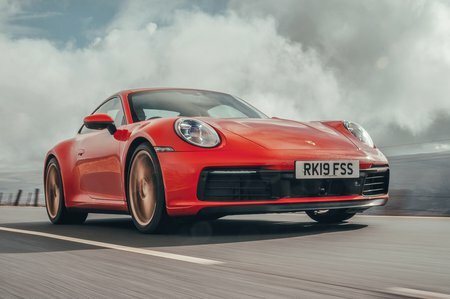 Porsche has acquired a reputation for being stingy with the amount of kit it fits to its cars, but the 911 comes with all of the infotainment essentials. An excellent sat-nav unit is included in the price, as is a decent eight-speaker stereo and a DAB digital radio. However, if you’re a bit of an audiophile, it’s worth considering the optional Bose and Burmester sound systems – the latter being particularly impressive. All of the above is controlled through a pin-sharp 10.9in touchscreen. It's quick to respond to inputs and is placed within easy reach of both the driver and front passenger. True, being a touchscreen means it can still be a little distracting to use on the move, but it’s one of the best systems of its kind and has Apple CarPlay smartphone mirroring on board. All of the buttons and switches on the dashboard are well damped, sturdy and classy to look at. Most of your other frequent contact points are made from metal or covered in leather and, where plastics have been used, they feel pleasingly dense and squidgy. This incredibly high standard of fit and finish sets the 911 apart from all its key rivals, bar the similarly classy Audi R8.